Happy new year to you all, and welcome to another edition of the JWK Safaris newsletter. 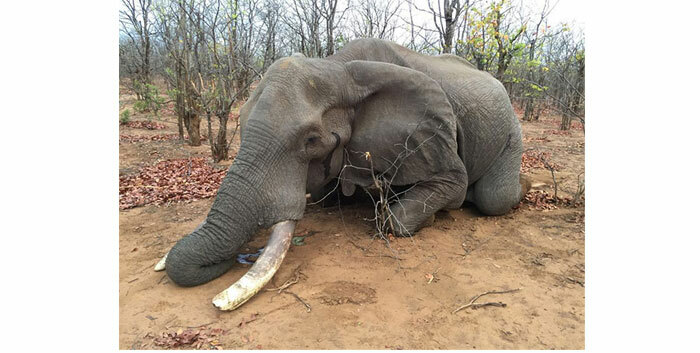 We had action packed hunts in 2016 in our South Africa and Zimbabwe hunting concessions, and looking forward to another in the 2017 hunting season to make the 2017 season even better. 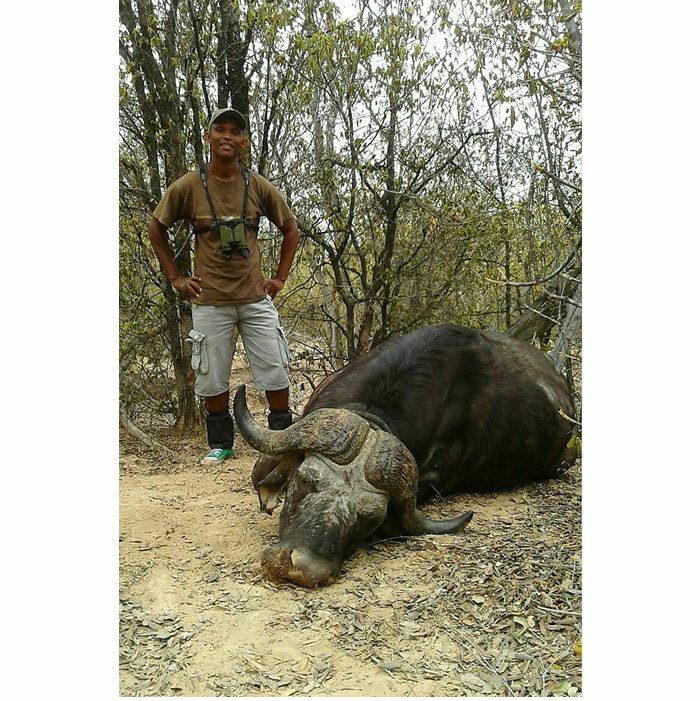 Closing off the 2016 season in the Gonarezhou Safari areas with Nixon Dzingai and Simon Dzingai, this 67 pounder elephant bull that as you can see is very old and a perfect bull to hunt combined with a old dagga boy. During our winter there are dry leaves on the ground that leopards will step on when hunting/approaching their natural prey making it harder for them to hunt, as a result their own success ratios on hunts are at their annual low during this period. 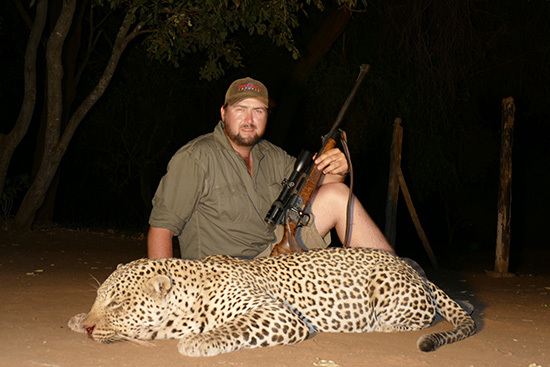 This is one of the facts that makes winter a good time to get and keep leopards on bait. Also during our winter months the bush is at its thinnest making the leopards hunting approach hardest without being noticed by their prey, another factor that helps us get an keep leopards on bait during this time of year. They get spotted by their prey easily during winter. Another factor is: Our winter months are our dry months with no puddles of water around where the leopards can and do drink during summer months, this fact helps us pick up fresh tracks at water points making identifying baits sites on fresh tracks an easier task when we can predict drinking patterns. 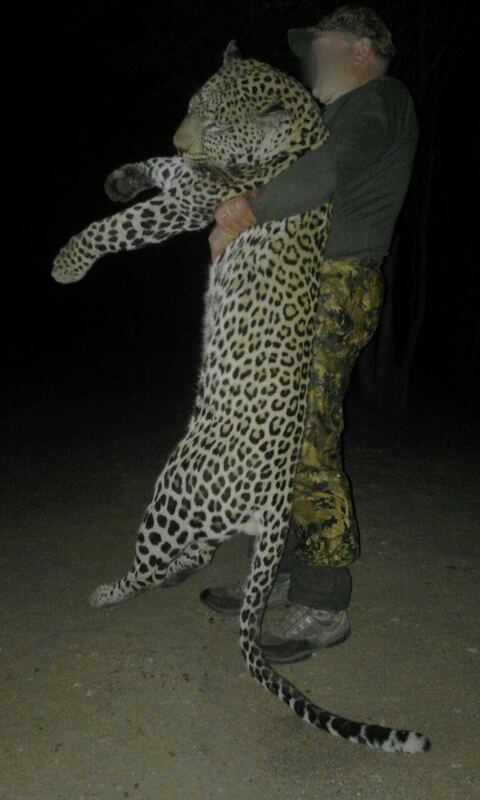 Besides this baits last longer in winter keeping the clients costs associated with baiting leopards down. CLICK HERE to view our Gonarezhou Pricelist for the 2017 season. 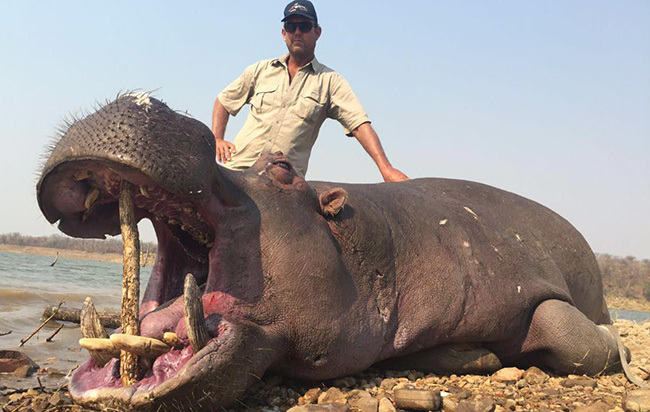 Early December 2016 Steve Meyer hunted this monster crocodile. 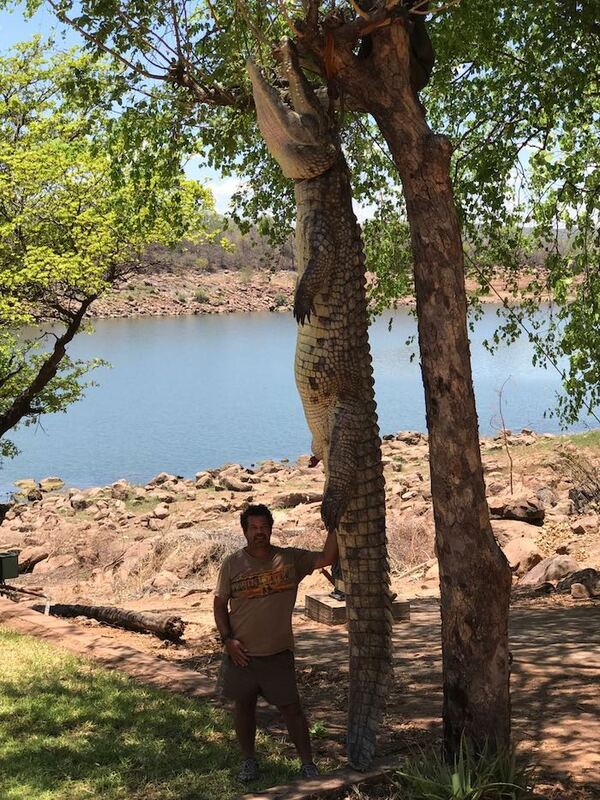 This crocodile was not accurately measured but my own estimate puts this crocodile at 5.2 meters if we consider that Steve who is in the photo is 1.76 meters tall. Regardless of the exact length this crocodile is massive, they don’t get any bigger than this in the wild. 400 USD road transfer fee from Victoria Falls to Binga including the return trip. 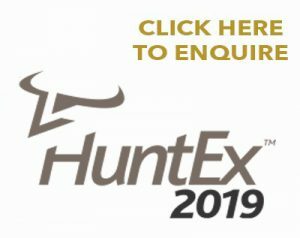 CLICK HERE for our Matetsi and Binga Pricelist for the 2017 hunting season.